Raising awareness of the varied range of children’s books offered by the publishing house, the release of book “Tere-Fere” and promotion of children’s literature in general. 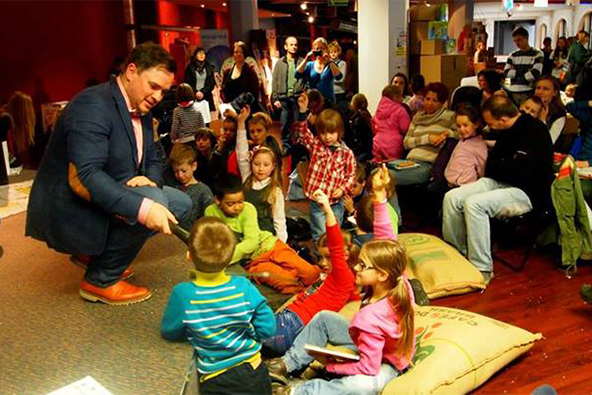 Organisation of the first children’s book festival in Warsaw, combined with a book fair. Strong presence in the media. Cooperation with other publishers. The three days long event at the Jabłkowski Brothers' Department Store (Dom Braci Jabłkowskich) attracted over 3 thousand visitors, who purchased a total of over 5 thousand books. Over thirty meetings and workshops for children and parents took place during the event. More than twenty interviews were held before and during the event. The festival was also visible in the Warsaw and national media (among others, Panorama at TVP 2, Telexpress at TVP 1, Trójka Polskie Radio, Jedynka Polskie Radio, RMF FM, Metro, Gazeta Wyborcza). A few hundred media releases about this event were aired and published.